Picture: Sam (middle) was part of the cCar team at FSG 2016. Every once in a while, we like to talk to our members in order to give you more insights into the GFRlife. This time, we talked to Samuel Phelps, OSU student and GFR member since 2015. Hi Sam! Before we start – can you tell us a little bit about yourself? How long have you been in the team and what is your job? I have been in the team for a little over a year now. I started out doing my senior design project at OSU, which was designing and installing the shifting system for our combustion car. You decided to come from OSU to DHBW for this term. Why did you decide to do that and what is your job on the team in Friedrichshafen? I really fell in love with GFR and Formula Student last year, so I wanted to stay around and support future members anyway I could. I also knew I wanted to start a career in Germany, so becoming an advisor at DHBW just made a lot of sense. My job is really just doing a lot of little things the team needs, such as helping students with mechanical design problems, organizing our CAD model, or helping our marketing team with english/german translations. I’m also trying to set up a combustion engine on the testbench at DHBW; it’s been a while since the team has been able to test an engine on the German side. I wanted to write my senior design project in one of the automotive design teams at OSU, BAJA or GFR. In the end GFR really interested because of the international partnership between OSU and DHBW. I had just returned from a year of study in Germany, and the idea of working in an organisation with that kind of connection was attractive to me. What has been your favorite moment with the team so far? My favorite moment so far was definitely finishing second overall with the combustion car at FSA16 in Spielberg. We had limited manpower from OSU come over for European competition this year, but our teammates from DHBW really showed in Austria that we were one team, helping out anyway they could. The cCar muffler came apart during testing, and the packing caught fire, which meant we had to hurry our way through retech on the first day of dynamics to make sure we completed all the events. We managed it, though, and ended up with a satisfying second place finish. Apart from technical knowledge, is there anything you learned throughout your time with GFR? One of the most important things I learned as a part of GFR is how to work within a massive, complex team to accomplish a common goal. At OSU we had group projects throughout our studies, but nothing on the scale of GFR. To work with so many different types of technical knowledge, personalities, capabilities, and even with a different culture to build two wicked fast cars takes a certain level of maturity that wasn’t required of me anywhere else in my studies. 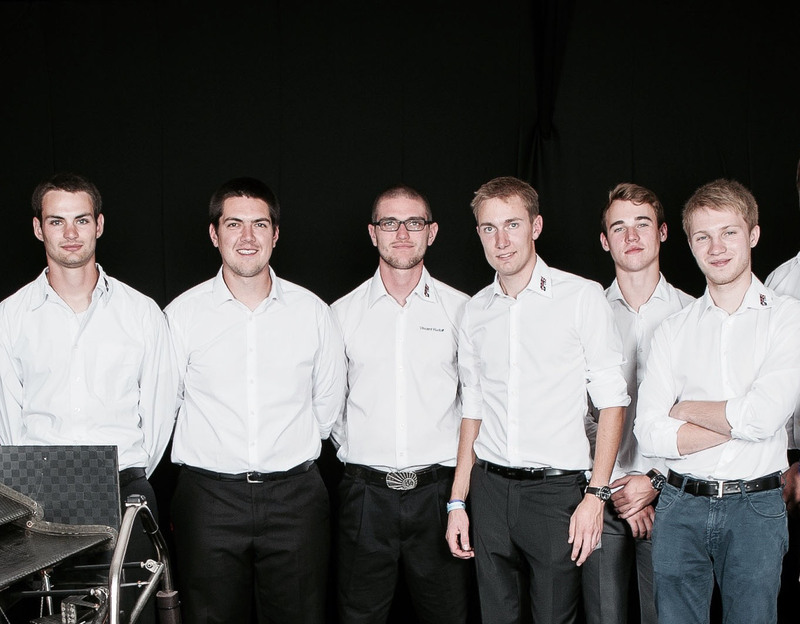 Why would you recommend students from the U.S. and Germany to join Global Formula Racing? First of all I would have to say it’s just a ton of fun. As long as you’re going to study, why not surround yourself with fun people? Secondly, though, it’s a great way to push the boundaries of what you can do. In GFR you are surrounded every day by people, who are trying to apply what they learn in school to solve complex problems. Just like an internship it’s a great way to gain practical experience.